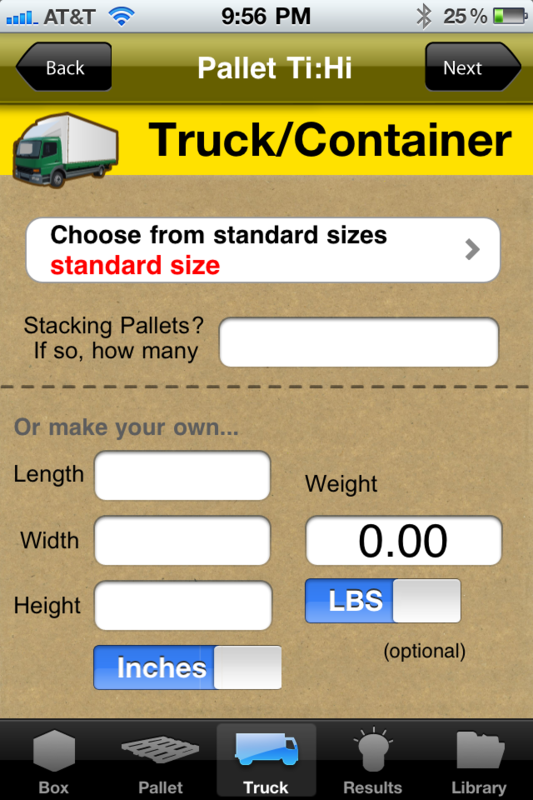 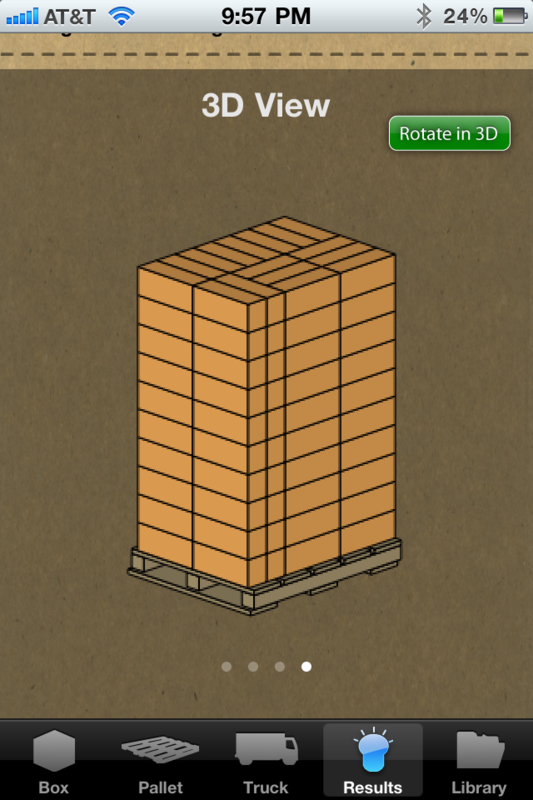 Choose shipping from standard trucks or containers, or make your own shipping device. 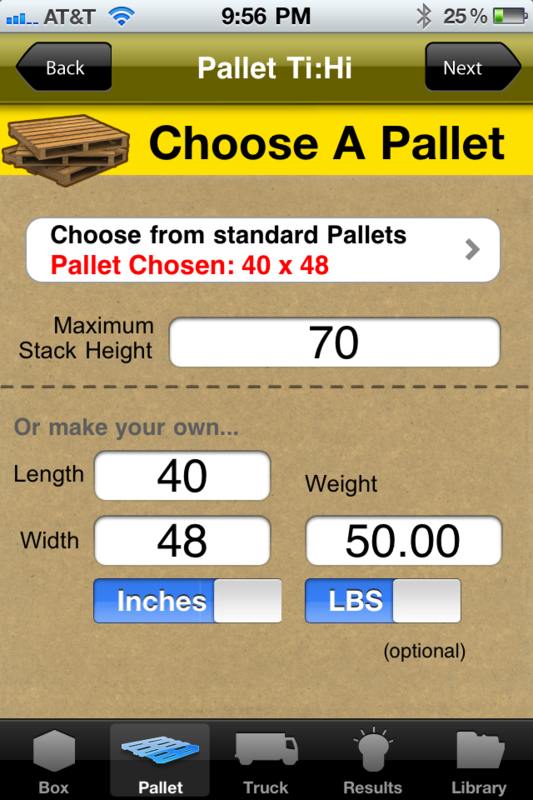 You can choose if you want your pallets to stack or not…great for club store products! 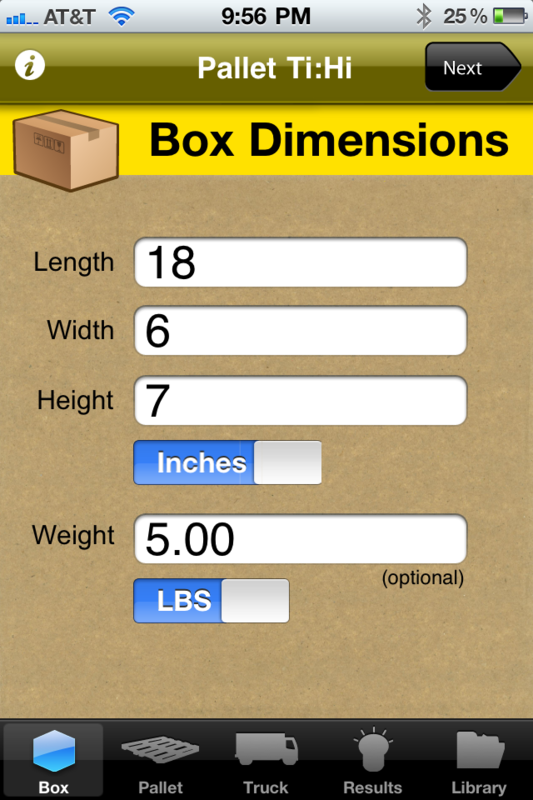 All boxes and calculations can be saved in the library and opened up at another time. 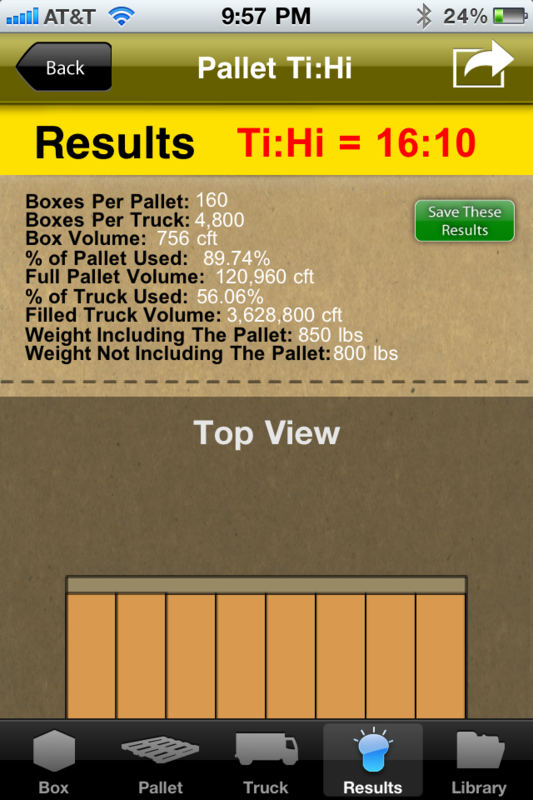 Save all your results and grow your Ti:Hi library.